Have you seen enough yet? Have the Broncos? 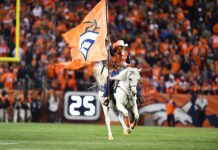 After another disastrous game at quarterback for the Denver Broncos in their loss to the Kansas City Chiefs on Monday Night Football, Denver fans are shaking their head and wondering where — or who — the solution is to the most important position on the football field. 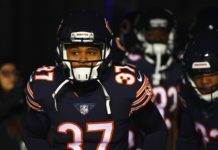 Starter Trevor Siemian finished with three interceptions on the night; the final one a senseless, across-the-body duck, right into the middle of the Kansas City defense, sealing the team’s fourth ugly loss in their last five games. It’s no secret: fans are fed up with subpar quarterback play in Denver, and while no solution appears imminent on the current roster, the biggest news of the day for Denver may have come from the trade of young quarterback Jimmy Garoppolo from the New England Patriots to the San Francisco 49ers — the same 49ers that appeared to be the favorites to land Washington quarterback Kirk Cousins in the offseason. Garoppolo and Cousins are both free-agents-to-be, but the acquisition of Garoppolo doesn’t happen unless the Niners intended to keep him by the Bay. The surprising trade might have enormous ramifications for the Broncos. All of a sudden, the notion that an in-his-prime, Pro Bowl quarterback could come to Denver doesn’t sound so far-fetched. General manager John Elway’s best move in his relatively short tenure as general manager remains luring future Hall-of-Famer Peyton Manning to Denver. Now, it’s time for Elway to work his magic once more in the offseason and convince Cousins that ‘he’d like that’ if he called the Mile High City home, starting in 2018. The Redskins have failed to sign Cousins over the long-term, instead tagging him with the franchise tag year after year and keeping the door open for the Broncos, who have no solution at the most important position on the roster. Paxton Lynch has failed to win the job over Siemian for the second-straight year and Siemian has failed to prove he is anything more than a journeyman backup. Drafting a young talent puts the Broncos back to square one, so free agency and a top-tier veteran quarterback — like Cousins — seems to be the round peg that fits the round hole. Cousins, a six-year veteran, is watching another quality year go by the wayside on a poorly constructed Redskins team. 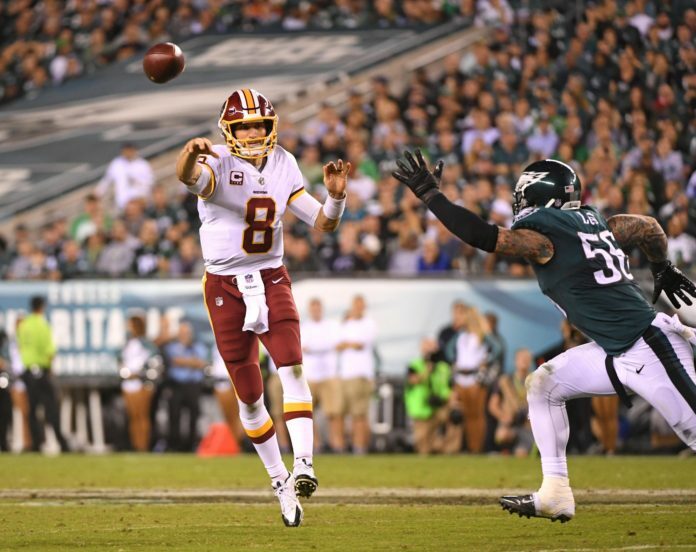 Washington, at it’s best with Cousins, has proved to be a eight-or-nine win team with little potential to make deep playoff runs. Denver has proved to be an eight-or-nine win team without Cousins and with atrocious quarterback play. Cousins not only shores up one of the weakest positions on the Broncos’ roster, he instantly makes it one of the best on the team. Cousins ranks fourth in the NFL in completion percentage among quarterbacks, while also ranking fourth in yards-per-attempt. Death by paper cuts hasn’t been the style for Cousins, who isn’t afraid to air it out with some of the best in the league. His confidence in pushing the ball downfield and ability to let it rip without expecting a high turnover ratio at quarterback is what Denver’s desperately seeking. Cousins wouldn’t be a stop-gap fix — he’d be the long-term solution. Currently ranking third in quarterback rating and smack dab in the middle of his prime, Cousins sports a career 67 to 27 touchdown-to-interception ratio over the last three seasons — numbers that should have Elway courting Cousins as soon as legally possible. Is Cousins to Denver a long-shot? Sure. Salary cap numbers will make it difficult for Denver to chase Cousins and would likely mean significant sacrifices at other positions. But the opportunity to play with the current weapons on offense and the elite defensive support that Cousins would receive in Denver would be an X-factor in any negotiations if winning is a true desire for Cousins. If the Broncos acquired Cousins, Denver would instantly catapult Denver to contender status. 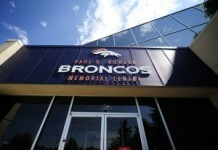 Once upon a time, the notion of Manning to Denver seemed like a long-shot, too. If there was any sliver of potential for “Captain Kirk” to come to Denver, it grew quite a bit wider on Monday night. Kirk Cousins at quarterback for the Denver Broncos. Bronco fans certainly, would like that.